it looks some of these storms have pretty high winds along with the rain and lightning etc. Happy to see a few of you got rain. HOT and DRY here. Fish Camp, moving southeast at 20 mph. Was at the beach today visiting family. Saw there was some rain around my neck of the woods but it all poofed. Gauge has zippo. StAugustineFL wrote: Was at the beach today visiting family. Saw there some rain around my neck of the woods but it all poofed. Gauge has zippo. glad your ok AUG..on radar the storms looked intense. Charlotte Park, Cleveland and Charlotte Harbor. Looking back at radar it was mainly one county south with areas from I-95 to the east coast getting the best brunt of it. well nothing but sunshine and blue skies here by me..guess i'll say good night folks..tomorrow's another day huh. Little burst of convection for sure Largo but the NHC pulled the plug on it yesterday. coverage. The storms will slowly end during the early evening. Good Sunday Morning folks!! hopefully everyone gets some rain with these showers coming again today without any bad stuff in them I hope.......well blogs COFFEE is set to perk for when you get here..enjoy...have a great day everyone! over interior portions of South Florida this afternoon and evening. 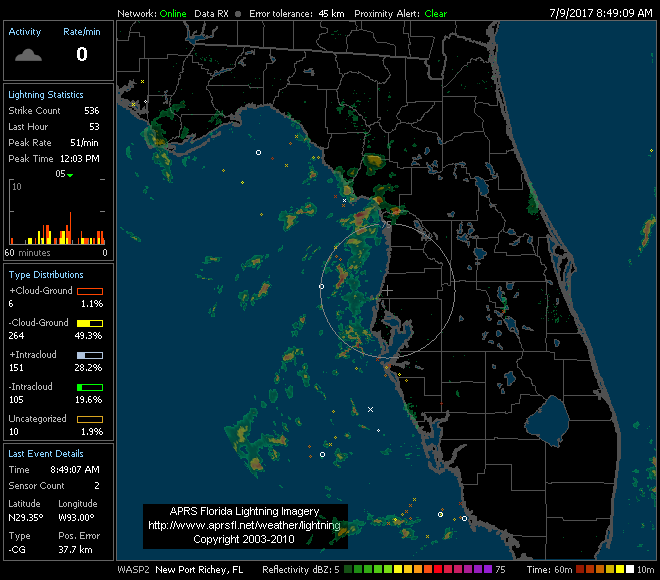 with today`s thunderstorms, primarily over Southwest Florida. Morning. The Euro brings the remnants of TD4 into FL next weekend then swings it NE with some development off the SE coast. good morning San, yes same here..it seems the line of storms is riding up the coast offshore so far gee..sure thought i'd get some good rain..well maybe later for us huh. well just FYI..local met says the moisture from X04 out by the islands May flow over florida thurs or Friday and might increase our rain chances as it moves westward..no TS or anything..just the leftover rains which we can sure use here whew. it seems like all the storms in the gulf are being pulled northward towards that cold front north of florida right now. rains going into the big bend area somewhat. well I don't see this 50-60% rain or storm chances around my area.....but maybe later today or this evening..not a drop here so far with plenty of sun and heat whew. I sure hope so Largo, although Saturday would be preferable. BillsfaninSoFla wrote: I sure hope so Largo, although Saturday would be preferable. drainage areas will result in minor flooding in the advisory area. 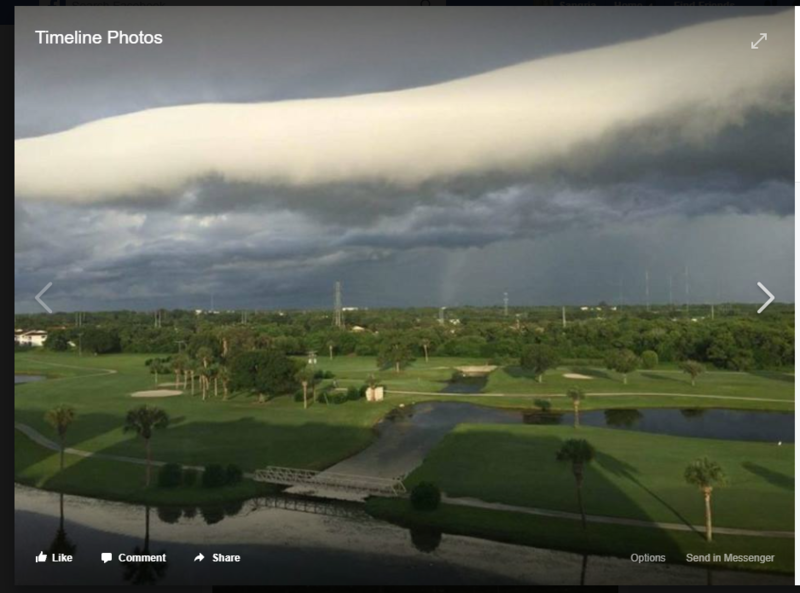 Naples, Naples Manor, East Naples, Lely Resort and Lely. that focuses diurnal precip over the west half of the peninsula. Yep. It didn't last all that long but had some of the "best" C2G's I've had all summer for several minutes. Gauge has .7" Might get some more later from the west. We shall see. ok AUG..glad you got some rain..not a drop here by me and this Blasting sun is really HOT here today whew. gee great Pic there San, yes sure thought i'd be getting some rain from the gulf..oh well better luck next time. Good Monday Morning Folks!! well we'll see how today plays out huh,hopefully some good showers pop up for those who need the rain, I sure do.....well Blogs COFFEE is perking for when you get here..enjoy! have a great day folks!! will be over 100 degrees today. well my wife just told me around 12 30 pm or so we got a heavy down pouring rain here last night..wow I slept right thru it but whatever fell I really needed it. Had a few cups of coffee this am and checking some wx sites. Eyes are on the wave off Africa and dwindling SAL is a factor as well... seems to have a robust start.